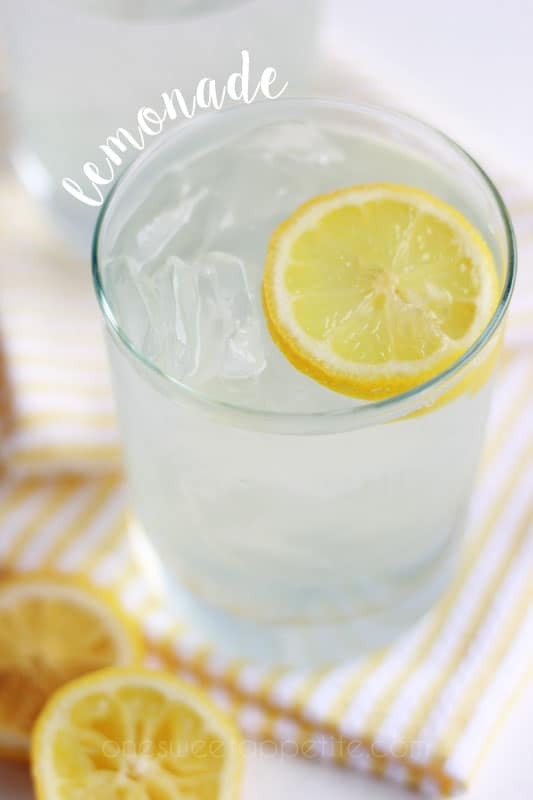 This Easy Lemonade is the perfect way to cool down this summer! I kid you not, we live on lemonades and limeades (especially this mint limeade) during the summers. I have a spout type dispenser in my fridge that is always filled with a great version of this sweet drink. That’s exactly what this is, sweet. You know that sour aftertaste that you can sometimes get from store bought lemonades? I almost always expect it to come but am constantly surprised at how much I truly dislike the sour flavor that is left in my mouth. Luckily, THIS recipe doesn’t have that odd sensation. 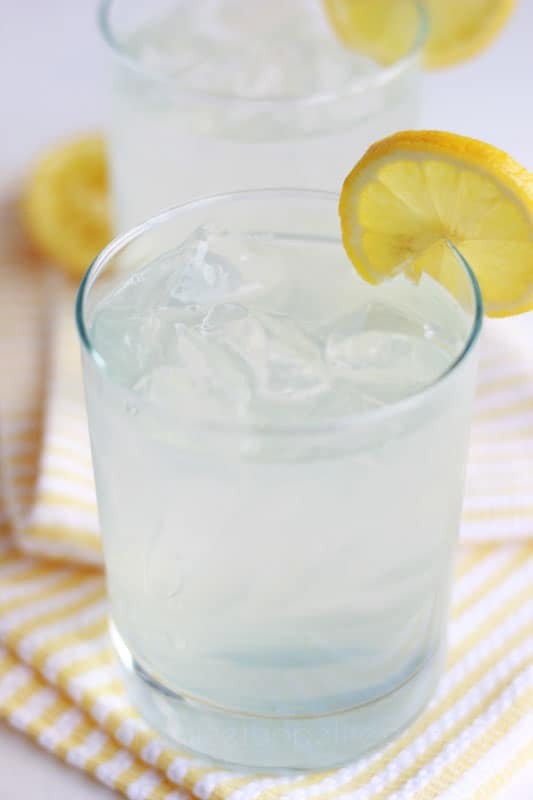 It’s made with fresh lemon juice (worth squeezing), a simple syrup, and a lot of H2O! For some added punch I looooove to add some lemon sugar. Just take a little bit of the sugar you would use in the syrup and smash in a little lemon zest until the sugar looks almost wet and is fragrant. Store that in a little jar and use it for any recipes you might want to add a little citrus flare to. SO, this recipe is great all on it’s own, but if you are feeling creative you could always add a bit of strawberry syrup or crushed raspberries. My all time favorite way to enjoy it is to substitute 1/2 of the lemon juice for lime add a bit of mint and crushed blackberries. SO amazing. How would you enjoy it? Plain and simple or jazzed up? Combine 1 cup of sugar with 1 cup water in a small pan. Heat until sugar is dissolved. Remove from the stove and cool. Place the remaining 1/4 cup of sugar and lemon zest in the bottom of a large pitcher. Mash with the back of a spoon until fragrant. 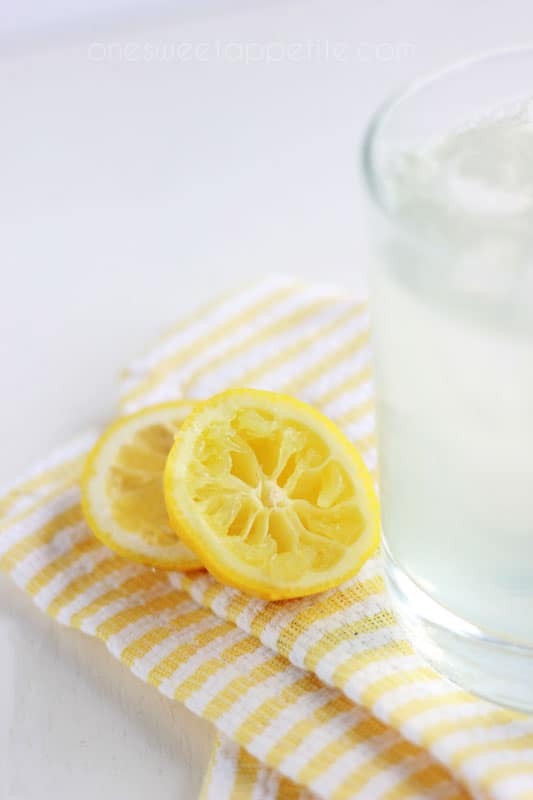 Stir in the lemon juice until dissolved. Add the lemon juice followed by the remaining seven cups of water.